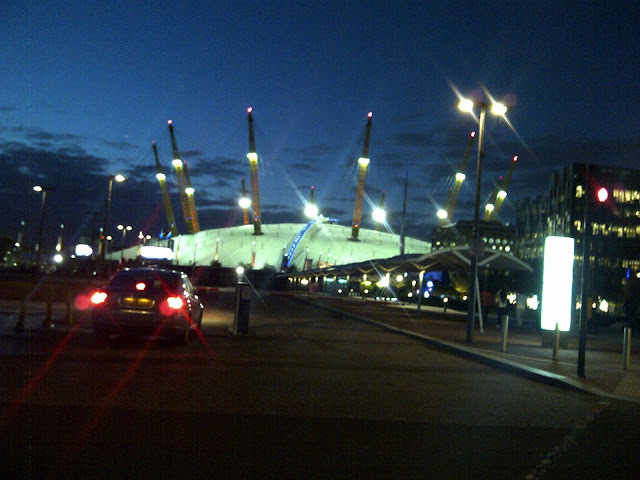 If you follow my blog or twitter then you might know that last night I went to see Nickelback at the o2 in London for my Dad's 50th birthday. All my friends think that Nickelback is a bit of a random thing for me to like considering my usual playlists consist of One Direction, Katy Perry and The Saturdays (My housemate Nick actually laughed at me when I was playing Nickelback's latest album in my room the other day), but I'm actually quite partial to a bit of rock and knew the words to every song they played last night, check me out... Anyway today I thought I'd do a bit of a joint Nickelback outfit post with my sister Nathalie, as she hasn't really featured on my blog before and is much more the rock chick of the family! I decided to bring out my beloved disco pants again, (I am wearing other things at the moment too I promise!) but rolled them up a bit at the bottom as is the style at the moment and paired them with my Topshop crop tee as I didn't want to look too dressy and I do love a good high waisted bottom and cropped top. I then used the spiked loafers, skull scarf, bright pink lips and big quiff to make it all a bit rocky. Nat had to think less about her rocky outfit as she dresses like she's going to a gig all the time! I think she'd like me point out her New Look leather jacket and Dr. Martens though as they're her most loved and worn items of the moment and I think she does look really cool in them, particularly paired with her red and black hair and dark smoky eyes. 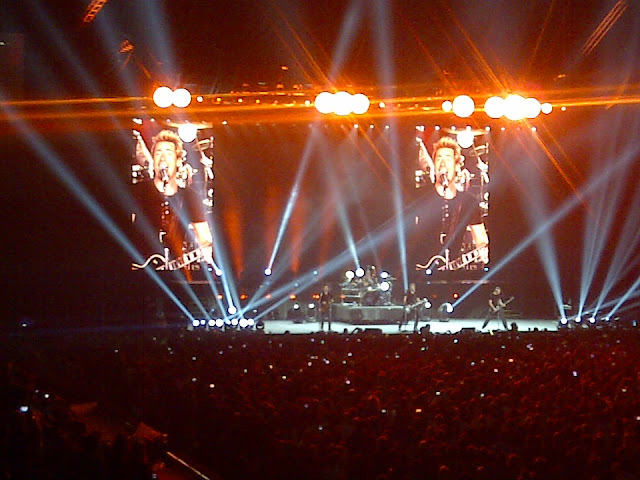 Overall I had a really great night, Nickelback were incredible and even though I've only been away at uni for a couple of weeks it was nice to have some family time. I'm really looking forward to tonight now as well because I get to see my boyfriend once he finishes work and reunions after a few weeks of only being able to speak on the phone are always the best part of long distance relationships. I hope you're all having a lovely week! I agree! You both looked lovely, but such different styles! I have such a varying taste in music too, ahaha! I love the lipstick yo are wearing! I love the disco pants! Looks like you had a fab time Meg!! You both look so gorgeous! I adore Nickelback, I was so jealous of people at college who got to go! love your outfits! both look so nice!